I just turned 21 three weeks ago and I’m one year younger than Ten, so it’s genuinely strange for me to think that people used to be afraid of Pearl Jam. Ok maybe not afraid, but there was once a time when guitar-driven rock music made parents nervous, and Peal Jam was one of the more visible leaders of the grunge bands that briefly ruled the world in the early 1990s with their big guitars and bigger hair. Eddie Vedder and the rest of his Seattle crew called out Ticketmaster for being evil and wrote songs about student suicides and bugs while selling a trillion records (there’s also this). But twenty years later Pearl Jam is soundtracking the World Series and Vedder is releasing ukulele albums. What happened? Maturity? Boredom? None of this is said in spite but rather to show the evolution and current state of a band that nobody expected to last for over twenty years. They became the most popular (i.e. 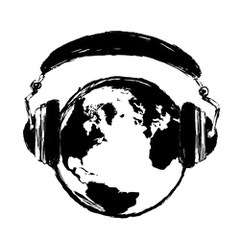 the most selling) band of grunge, a movement that was never made to last commercially, and with the suicide of Kurt Cobain Pearl Jam reluctantly carried more of the weight and pride of their beloved genre. But when the world moved on from grunge to Radiohead and alternative rock, Pearl Jam soldiered on without the world’s attention. But when you consider how un-grunge Ten actually sounds, it really isn’t shocking to see why Pearl Jam was content to continued on with being Pearl Jam. They were never about being associated with any particular movement (their notorious rejection of their fame clearly shows that) but they were always about their music and fans. It’s those kinds of bands that last for over twenty years for better or worse, though only seriously jaded haters would consider it to be a bad thing that in 2013 some people still really care about Pearl Jam. To the band’s benefit, it helps being one of the greatest live bands of all time and consistently releasing good albums to a crazy-devoted fan base. So the story of Pearl Jam in the time between No Code and Lightning Bolt is a story of a famous band carrying on through the indifference of the majority and the devotion of the minority. This is also where my story with Pearl Jam begins. My first real exposure to Pearl Jam was Yield, one of those few albums that my dad always kept in the car when I was young. We would listen to it whenever we were together, and I remember being attracted to Yield simply because there was nothing on the album that sounded like “Even Flow” or “Alive”. Instead there were songs like “Brain Of J”, “Given To Fly”, “Wishlist”, and “Do The Evolution”. All these songs mastered the soft-to-loud-then-soft-then-maybe-loud-again formula of the middle years of Led Zeppelin, and, as a young kid who was only listening to Led Zeppelin at the time, I fell in love with this album and with Pearl Jam. From Yield I worked backwards and forwards, finding personal favorites in every album but gravitating more towards No Code and their self-titled avocado album. 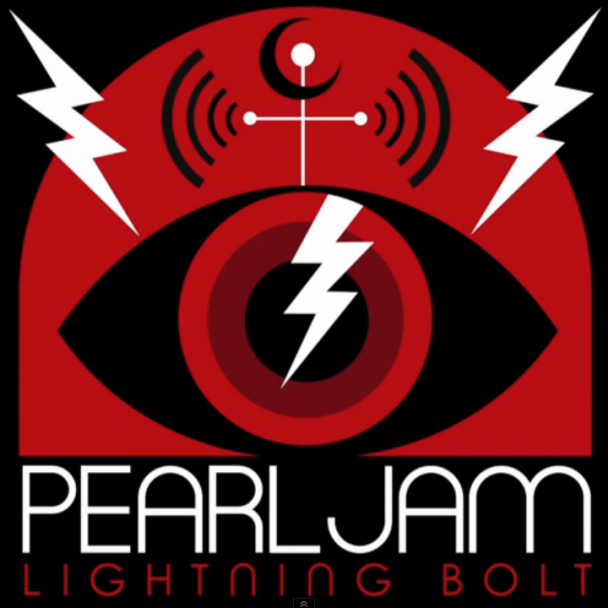 So my love of Pearl Jam is born right when they began their journey into adulthood, and it is with this bias that I write my review for Lightning Bolt, which can be seen as the band finally establishing their maturity for anyone who was still wondering. However, with this maturity comes the question of relevance — do we need to talk about Pearl Jam retiring anytime soon? Lightning Bolt is good enough to suggest that Vedder and the gang still have a few tricks up their sleeves, but once again we’re hearing Pearl Jam getting stuck sounding like Pearl Jam. But for most of Lightning Bolt, that’s not a bad thing. The songs off Pearl Jam’s previous album Backspacer were quicker and more accessible (i.e. “The Fixer”) and there was plenty of 70s class rock inspiration to finally confirm Pearl Jam’s place into their golden years. But accessibility was never what Pearl Jam was about, which makes Backspacer a lesser album in the eyes of devoted fans. Lightning Bolt follows the same style of songwriting as Backspacer, which is both good and bad, but is noticeably improvement. The fast songs are faster and more fun and (fortunately) more memorable. The production is again super clean, and Vedder’s voice hasn’t sound so good both in sound and in lyrics. Pearl Jam has remained relevant not because their albums are amazing but because none of their albums are bad. Each album has a few Greatest-Hits-worthy tracks, so fans still care about a new Pearl Jam album because they know there will be at least two new classic songs that they’ll play right before “Black” during another sold out show. And yes, there are two new Pearl Jam classics on Lightning Bolt: “Mind Your Manners” and “Sirens”. With “Mind Your Manners” being the first single, and being one of Pearl Jam’s fastest songs ever, I was hopeful for Lightning Bolt to be an older and wiser avocado album. Unfortunately, the album enjoys its 70s classic rock influences too much to bother with the 80s punk influences that makes “Mind Your Manners” such a great song. “Sirens”, with its acoustic strumming, is a worthy Zeppelin power ballad for this Zeppelin power ballad sucker. The song, like the album, is the sound of Pearl Jam sounding content with being a veteran band rather than trying to recapture the angst of their younger years. I cannot stress how great the first half of Lighting Bolt is. “Getaway” is one of the better Pearl Jam album openers, and “My Father’s Son” has the same muscle as “Mind Your Manners”. The title track and “Infallible” are both middle-paced songs that have strong enough melodies to keep your attention. It’s side two that gets a little more experimental and shakier. “Pendulum” can be seen as a No Code inspired experiment to create as much atmosphere as possible with as little effort as possible, but the song goes on for a while without really going anywhere. “Swallowed Whole”, “Sleeping By Myself” and “Yellow Moon” all sound like really great Backspacer B-sides, and “Let The Records Play” ‘s swampy blues thinks that it’s cooler than it actually is. But you gotta give Pearl Jam credit for trying something new and longtime fans will appreciate the effort after twenty years, but there’s a lot to dismiss on side two. Fortunately the album closer “Future Days” is a more effective acoustic ballad than “Just Breathe”, and it’s a good way to close Lightning Bolt. Overall: The ever-devoted Pearl Jam camp will call this one another winner, but Lightning Bolt has enough great songs to keep everyone else satisfied, even if those great songs are hidden in a relatively tame album. I saw a video of Eddie Vedder covering this song with just an electric guitar and him singing by himself and I fell in love with the song. Here’s the original song’s music video by Hunters and Collectors. After hearing Eddie’s cover I really like the original song from the 80s. Click here to see Eddie’s cover.